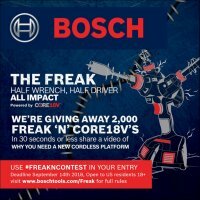 Bosch really want's to get the word out about their new generation of Core batteries and how they pair with their new and existing cordless tools. 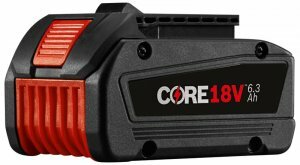 So much so, they are running a huge giveaway where they will be giving away 2,000 cordless tools with the new Core 6.3Ah battery. Each prize retails for around $300, which puts the total combined retail value of the giveaway at around $600,000. Yeah, it is insane. 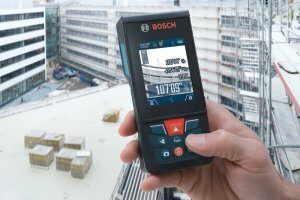 Bosch is king when it comes to laser distance measurers, offering a range of models starting with basic distance measuring for under $50 all the way up to models with Bluetooth app connectivity that allows users to make floor layouts. Their newest models take things to the next level by offering a measuring range of 400-feet with pinpoint 1/16-inch accuracy. Bosch has announced a pair of new portable jobsite cordless LED floodlights, the Bosch GLI18V-1900N and GLI18V-1900C. One model even features Bluetooth connectivity that can be controlled with just a tap on your phone. At a time where power tool manufacturers are racing to take every tool that is corded and making cordless versions, the battery technology also has to keep up. 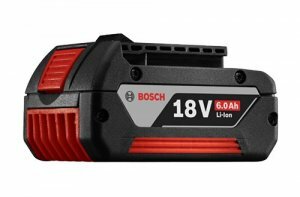 In order to power their upcoming "high-power" cordless tools, Bosch has created their new high-efficiency (GBA18V63) CORE18V 6.3Ah Battery. 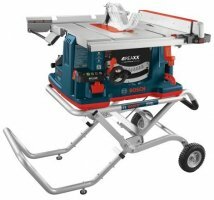 In a rare move—which even they admit—Bosch has decided to release a statement to clear up misleading information concerning the Bosch REAXX Jobsite Table Saw and the ongoing lawsuit. They don't specify what the misleading information is, but I bet journalists that are uneducated in law, who try to interpret legal documents and proceeding, are to blame. You can read the official Bosch Statement below. 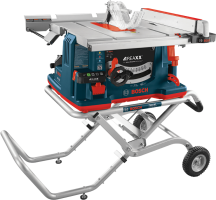 The wait is finally over, after months of delay due to some legal blocking from SawStop, the originator of the flesh-detecting table saw, Bosch has officially announced the release date of the GTS1041A REAXX Tablesaw to be June 1st, 2016. 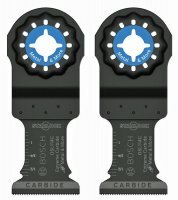 Bosch and Fein have jointly developed and patented the new Starlock interface system to be the new standard for connecting Oscillating Multi-Tool Accessories to the next generation of Oscillating Multi-Tools. But wasn't that the same goal of the now 5+ year-old Oscillating Interface System (OIS)? Laser levels are not only common on a jobsite; they are becoming essential. One of the problems with using them, though, is quickly positioning them at an exact height. 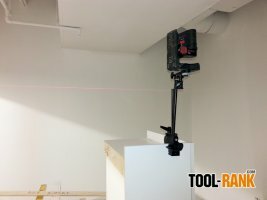 In search of a better solution, I looked at what I already had, and I think I have found the perfect solution for leveling a laser that is quick, portable, versatile, and precise.